Where it all began! Famous and bestselling Original lotion never goes out of fashion. 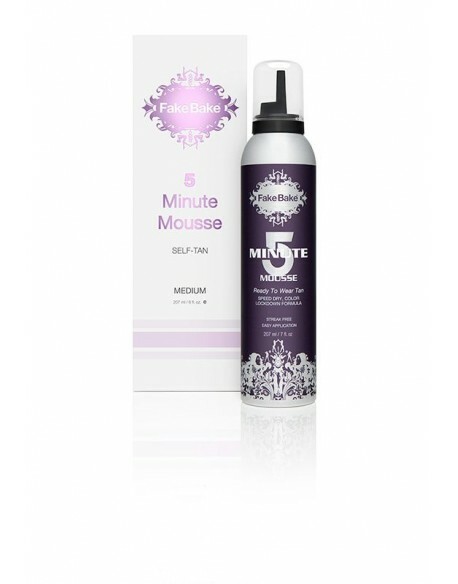 Easy-glide formula and rich cosmetic guide colour, this product is easy to apply, develops in 6-8 hours and provides a long-lasting golden tan. Tan Tip: lotions are absorbed deeper into the skin, making self-tan lotions the longest lasting of all the formulations. Suitable for face. Endless classic chick! 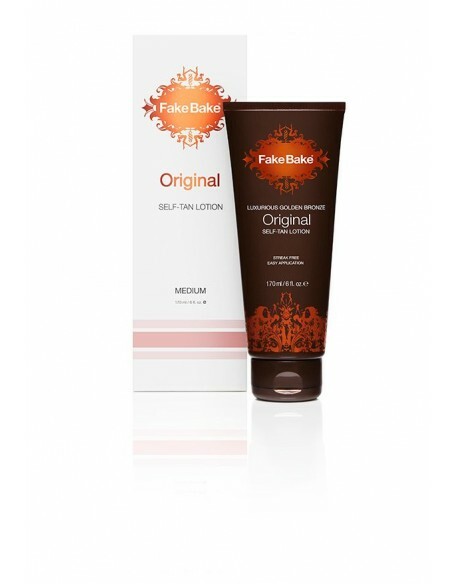 Launched in the UK in 1995, Fake Bake Original Self-Tan Lotion was the very first self-tan lotion to showcase a cosmetic guide colour with no stain or dye. 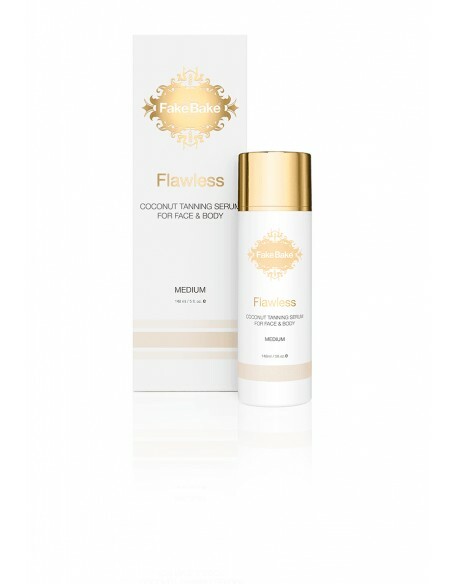 This patented triple tan formula, which contains naturally-derived tanning agents DHA, Erythrulose and DMI, enhances the natural pigment of your skin ensuring a streak-free natural tan for every skin tone. Not only that but this bestseller boasts an easy-glide formula, which enables this product to be applied with both ease and confidence. 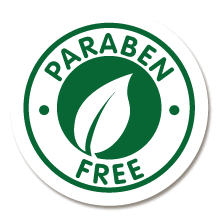 If a darker tan is desired, Original can be re-applied over consecutive days, however one application is usually enough. 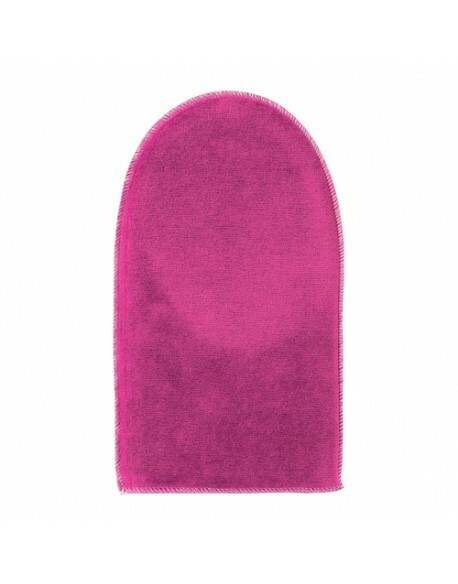 Includes application gloves and step-by-step application advice.